With Kent County Cricket Club gaining promotion to the first division of the County Championship for the first time in eight years at the end of last season. Their hopes this year will be to stay up in the first division but with some key players such as Sam Billings and Joe Denly missing for the first half of the season because of their IPL commitments and quite possible the second half of the season because of the World Cup and The Ashes. Kent finished second in the County Championship division two with 221 points and 10 wins with only Warwickshire claiming more points. Kent actually won more games than the league winners but Warwickshire claimed more bonus points than anyone else in the league. Kent's the Spitfire ground is where they play all their home fixtures. 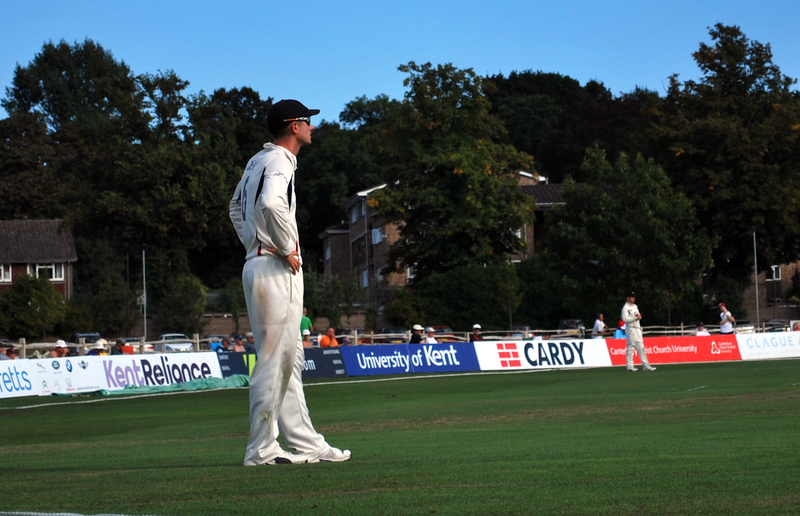 Kent will now come up against some bigger clubs like Surrey, Nottinghamshire and Yorkshire. Kent may struggle with competing against the top clubs but if all their key players step up and perform like they have done previously Kent may be a force to be reckon with in the first division. In the 2018 season Kent had a good time with gaining promotion and reaching the final of the Royal London One Day Cup where they lost out on the title to Hampshire at Lords. That was with their strongest squad but with Joe Denly quite rightfully being called up to the England squad Kent are missing a key batsman and bowler. But, if Denly doesn't make the England squad for the Ashes he will be available for Kent to play in their County Championship matches. Kent found out the hard way that playing in the top division is going to be a test as they lost their first game of the season against Somerset at Hove yesterday. There were in a strong position to win the game when they had the hosts 181-9 but with a last wicket stand of 62 between Brooks and Bartlett saw them get to 243 all out. 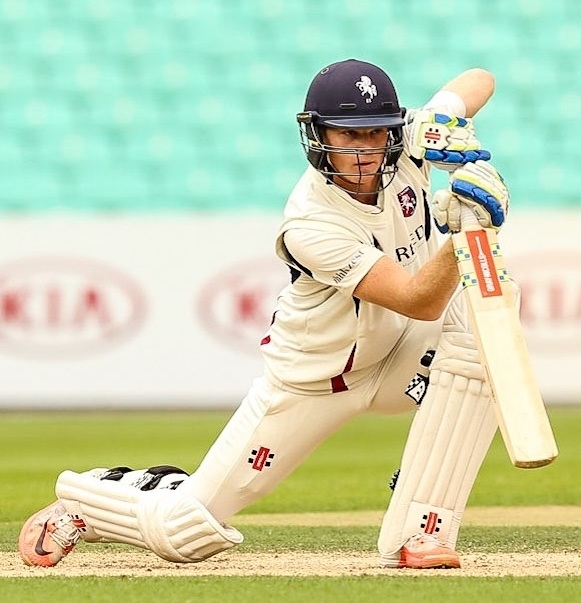 Kent Struggled from the start of their second innings with opening batsman Sean Dickson being caught off the very first ball, and then slumping to 45-6. After the result yesterday and the manner in which they lost against Somerset. I think that if they didn’t think this already they’ll now know that the challenge of division one championship cricket. Compared to division two it’s considerably more testing. It’s going to be interesting to see how they respond, because they would have felt certainly for most parts of that game that they were in the box seat. In division two against some of the sides you can afford to have a bit of a lapse in concentration and a poor session and still be able to dig yourself out it, but this time they’ll realise that you’ve got to be absolutely on it every single session and every single game if you’re going to compete and pull yourselves away from danger. Their Next game in the County Championship is against Warwickshire at Edgbaston which is who Kent got promoted with. So, this will be a real good sign to see how prepared the two teams are for the up upcoming season. Kent's Head Coach Matt walker told all Kent Fans that his team are going to give 100% for the whole season. The question is starting to be asked to the England Cricket Board (ECB) whether more needs to be done to help bridge the gap between the bigger, better funded clubs and the smaller clubs who don’t have that much funding. Because the bigger clubs attract the better players. For example, Sam Northeast left Kent after the 2017 season to move to bigger club Hampshire. Northeast was Kent’s club captain and one of their key players so to see him leave was a big blow for Kent. When coming up against the bigger teams Kent need their big players to step up like Daniel Bell-Drummond who in the 2017 season could have felt quite hard done by for getting overlooked by the national selectors and Heino Kuhn who signed a kalpak deal in 2018. These players need to step up and score runs. They both didn’t make an impact against Somerset and although that was only the first game they need to be on the top of their games all year round. Especially with some key players missing such as Sam Billings and Joe Denly with IPL commitments and also with some ageing players like Darren Stevens who is 42-years-old. This hasn’t just happened to Kent but other smaller clubs too like Durham who lost two opening batsmen Keaton Jennings and Mark Stoneman to Lancashire. Both have played international cricket so losing them was very harsh on Durham. Also, this is making the gap between the bigger and smaller clubs even bigger. Ex-England all-rounder Sir Ian Botham told Sky Sports that counties need to be rewarded for nurturing players. It concerns me that the current arrangements within cricket do not reward counties that invest in academies and produce exciting young English players. They need to introduce a transfer or similar system of compensation, to remove the potential conflict of interest by preventing serving directors of cricket acting as selectors and to be better regulate the behaviour of agents. One fan of Kent County Cricket Club Archie Hobbs-Moore gave his thoughts on Kent being back in the first division. It’s not all doom and gloom for Kent though because smaller clubs have been successful in first division, for instance, Essex won the County Championship division one in 2017 unbeaten. Essex is not the biggest club by any stretch on the county circuit, it doesn’t have a big stadium, it doesn’t host international test matches and it doesn’t have many international players available all year round like some other teams. So Kent can aim to replicate Essex’s success. The last time Kent were in the County Championship division one was in 2010 where they only lasted one season. Kent were relegated only winning three games and accumulating 151 points finishing six points behind Hampshire who just managed to stay up.